Buy or donate gently used books for all ages! Proceeds will benefit the Cross of Life Church Vacation Bible School project to help prevent malaria. Prices are just $.25 paperbacks, $.50 hardbacks. Book sale will be June 1st-4th and 6th, during the VBS ‘Dinner Hour’ from 5:15-5:45. Look for a table in Fellowship Hall. Pick up some new books for the kids or some summer reading for your self! All kinds of books will be available. Drop your children’s, fiction, non-fiction, how-to books, cookbooks, etc. off in the COL Montessori office. Mark the bag or box ‘book sale.’ Contact Stefanie at colmdirector@gmail.com or 770-475-3812 with questions or to volunteer. 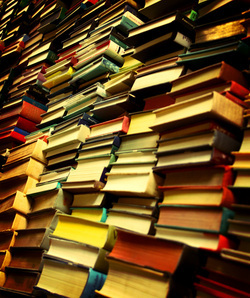 Unsold books will be donated to NFCC.